Considering purchasing the Equinox PRO DJ Booth System MK2? Have questions? Ask people who've recently bought one. Is there an additional laptop shelf available too as per the smaller version? Do you own the Equinox PRO DJ Booth System MK2? Why not write a review based on your experience with it. 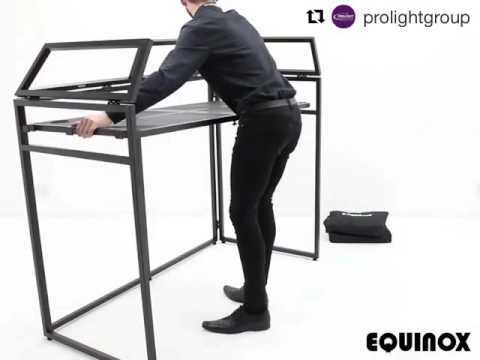 Seen a video for Equinox PRO DJ Booth System MK2 online or have you own video? Check out Equinox PRO DJ Booth System MK2 on DJkit.com!